This is a gorgeous, large dinnerware set consisting of SIXTEEN (16) seven-piece place settings made by Royal Worcester. 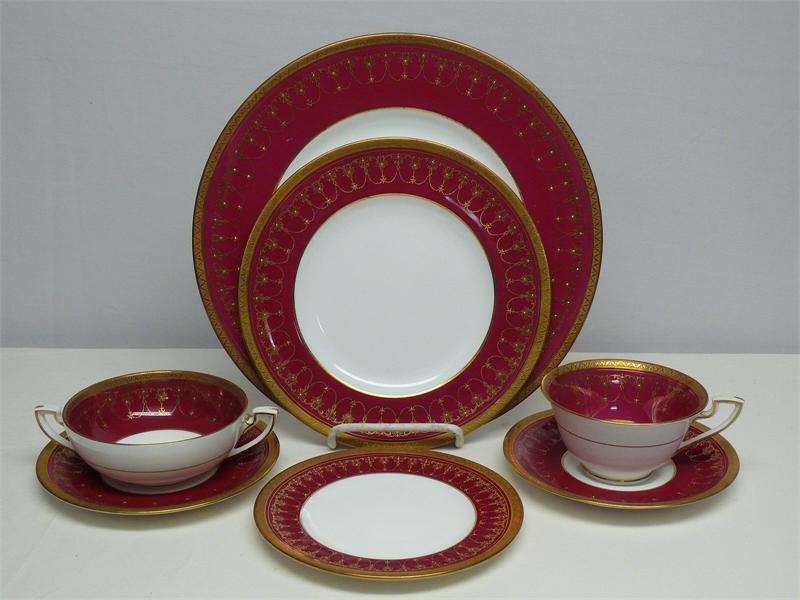 The pattern is a beautiful deep rich red with a lacy gold design accented with raised gold dots. 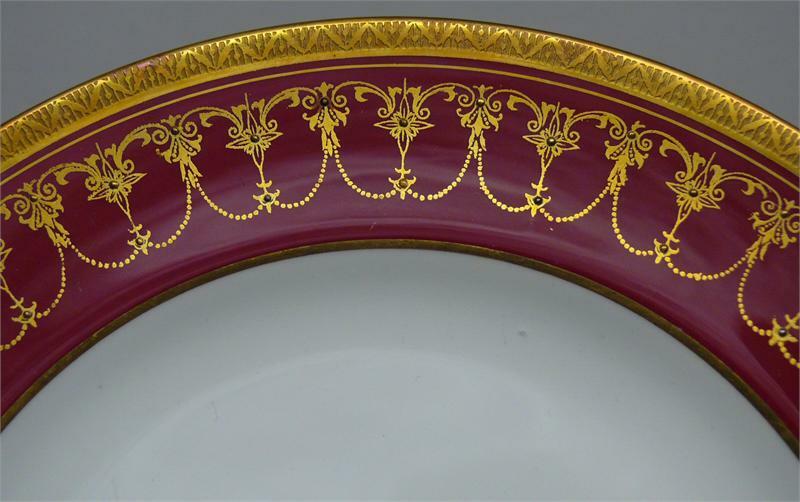 Note that there is also a design in the gold trim around the edge. The center is pure white. 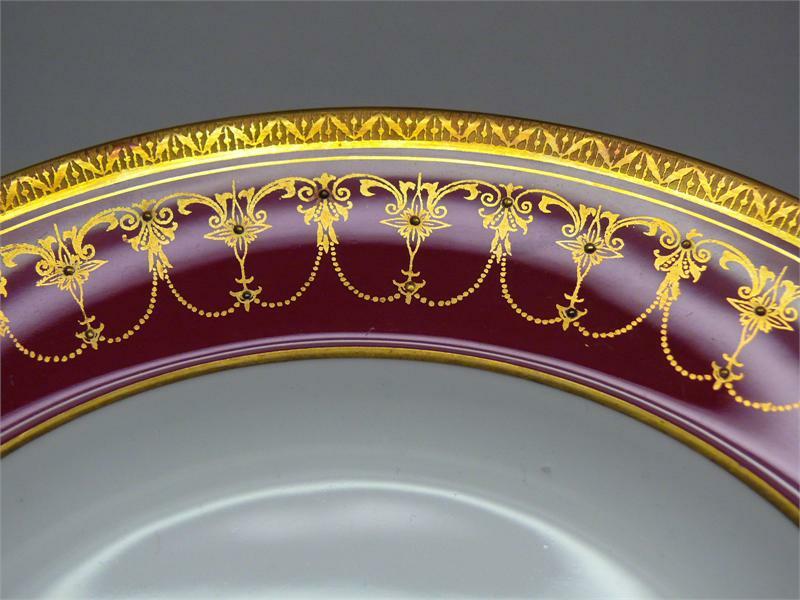 (Similar to Worcester's "Pompadour" pattern.) 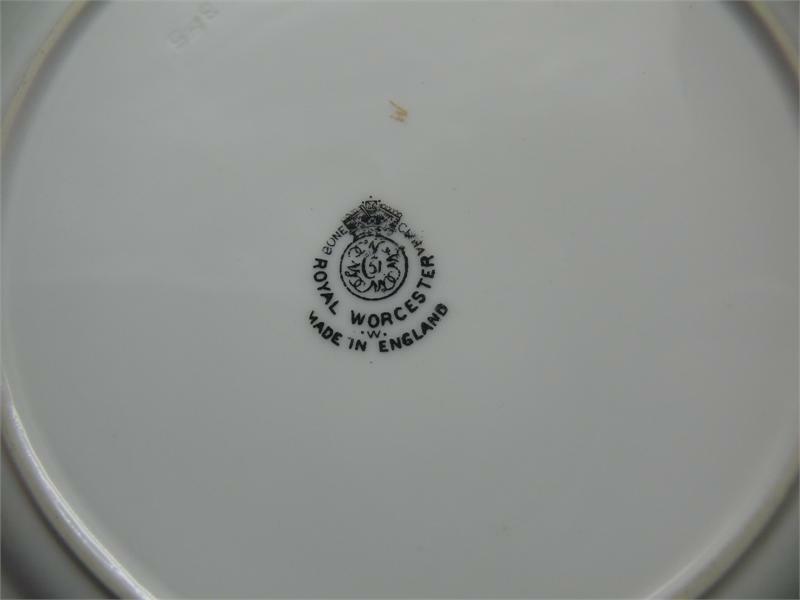 The Royal Worcester mark on the back dates this set to 1952. 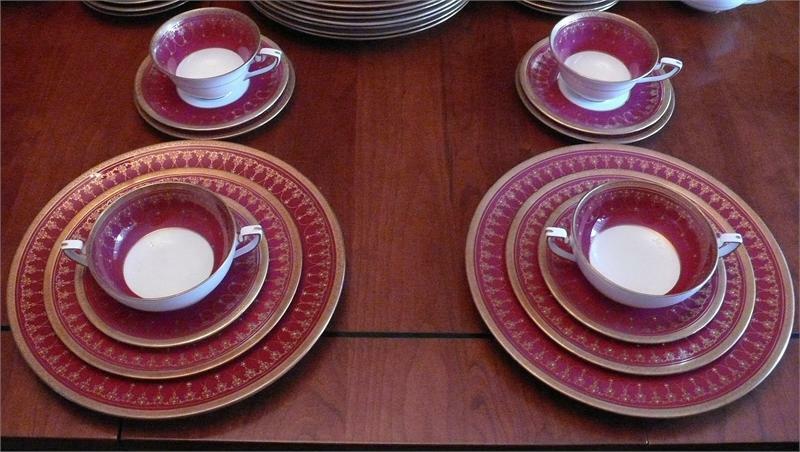 Specifically, there are 16 dinner plates (10 5/8"), 16 salad plates (8 1/8"), 16 bread plates (6 1/8"), 16 cups and saucers, and 16 cream soup bowls and saucers. There is only the occasional light scratch on this set. 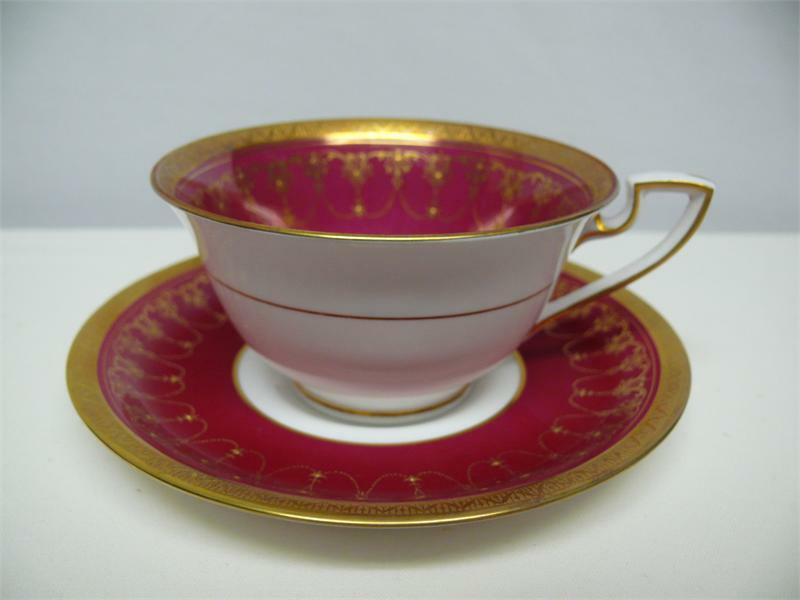 The gold trim can be brightened up with a mild silver polish. Click on the image to see a larger picture (a separate window will pop up).